The Marlborough Gas stove has the flexibility to suit your lifestyle and your décor. Whether you choose country or city, traditional or contemporary, this traditional gas stove is available in three sizes and each has an extensive window area to allow you to enjoy the dancing the flames and warm ambiance of the coal or log effect fires to the full. 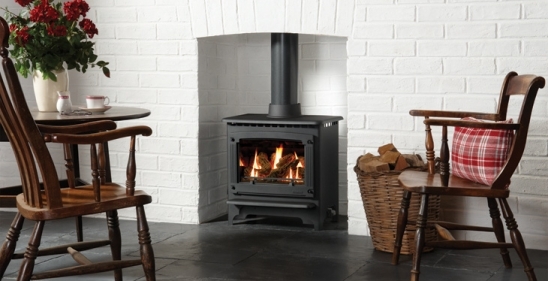 The Gas Marlborough stove has a Piezo ignition and a manual control to adjust the flame height and heat output. Choose Gazco’s Command upgradable remote control and you can adjust the flames and heat from your armchair. Alternatively, opt for the deluxe programmable upgradable remote control to set the stove to switch itself on and off and heat the room to the temperature you select.